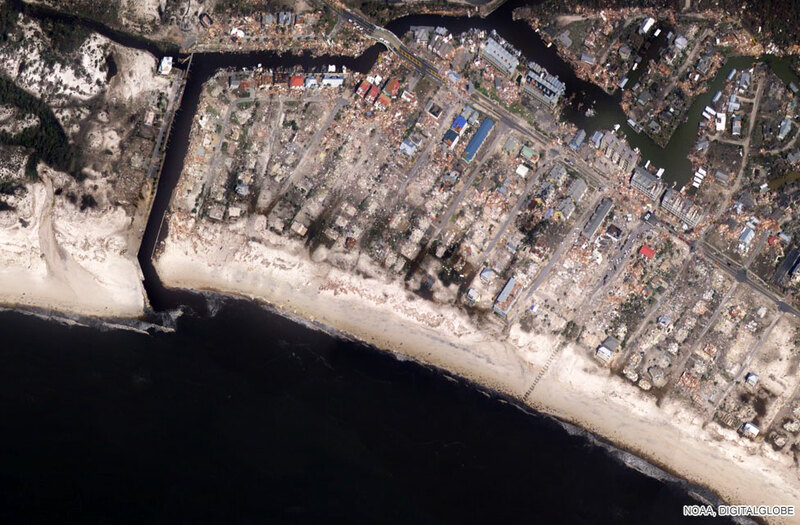 Hurricane Michael has landed on a Florida beach town like the "mother of all bombs", almost wiping it off the map, officials say. The hurricane, one of the most powerful in US history, has killed 16 people, with fears the toll will rise. No wind, almost no-one on the street, just the beating hot sun and the tossed and scattered debris - the calling card of a monstrous storm. And then you hear faint bleeping sounds coming from all directions - a dissonant symphony of high-pitched notes that turn out to be myriad small alarms, still transmitting their warnings from the batteries which power them. 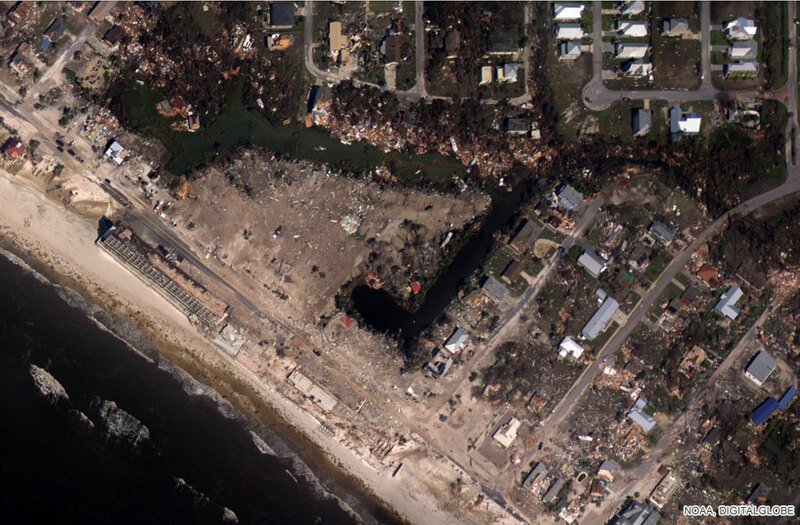 Image caption Much of the damage in Mexico Beach, Florida was caused by the over-100mph winds. On the left, as we walk, there's a mattress slumped at the roadside, on the right a Dean Koontz novel lies in the dirt. A little further on, and a woman, accompanied by a friend, is sifting through the remains of her home, loading what she can salvage into the boot of a car. This was her dream retirement place she tells me - the last four years spent doing it up. "I'll never step back in there," she says through her tears. 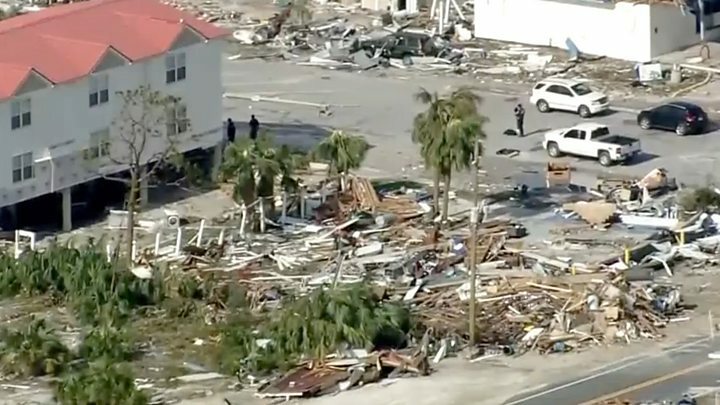 The sheer force of Hurricane Michael has been well analysed, but it's only when you see the everyday stuff of people's lives crushed, broken, smashed to pieces, that you realise they will be living with this long after we have gone. 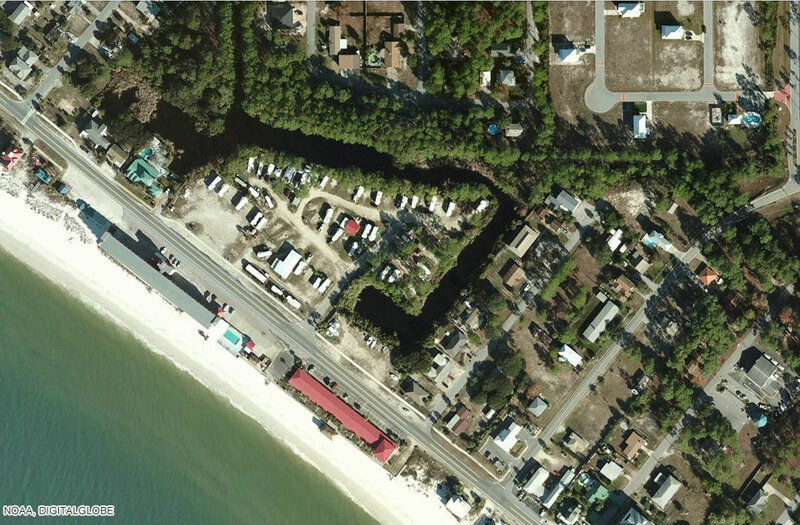 One weeping resident of Mexico Beach pictured on CNN struggled to even find her street, let alone her home. Tom Bailey, the town's former mayor, told the New York Times: "The mother of all bombs doesn't do any more damage than this." Some 285 people in the community - population 1,000 - defied a mandatory evacuation order and stayed behind to ride out the storm. 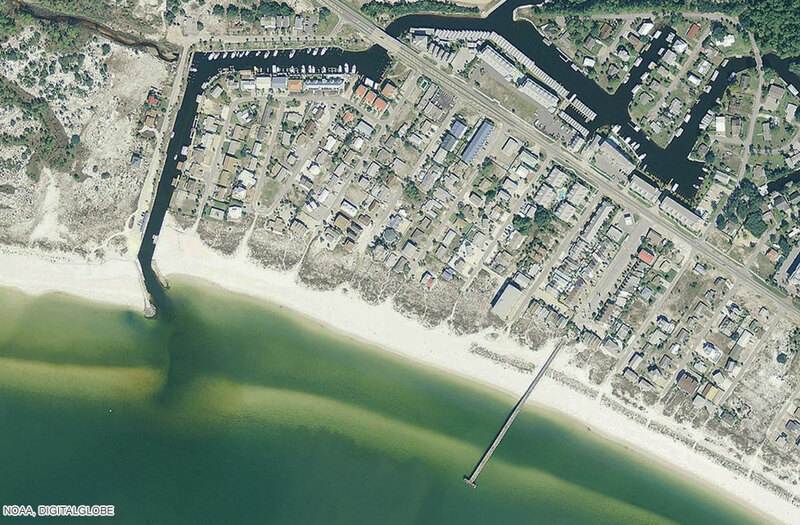 But it was Florida's Panhandle that bore the brunt of the tempest. Thousands of military, police and rescue teams are converging on the area. The 16 known storm-related deaths so far are: Three in North Carolina, one in Georgia, seven in Florida and five in Virginia. In North Carolina, one motorist was killed when a tree fell on his car, while two others died when their car crashed into a tree felled by heavy winds. Eleven-year-old Sarah Radney, who was visiting her grandparents in Seminole County, Georgia, died when a metal carport near their home was lifted by powerful winds and slammed through their roof. In Virginia, police said four of the deaths were due to drowning - including one man who drowned when his vehicle was caught in flash floods in Pittsylvania County. The waters were too turbulent for rescuers to reach him, officials say. Firefighter Lt Brad Clark died when a truck hit his fire engine on a rain-slicked road at the scene of a crash in Hanover County, Virginia, on Thursday night. Are you in the area? If you've been affected by Hurricane Michael and it's safe to share your experiences, please email haveyoursay@bbc.co.uk.